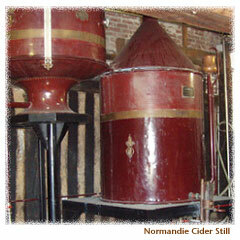 Calvados, an aged spirit which captures the soul of the fresh apple, is produced only in the Normandy region of France. Because of the near-perfect climate and soil, the Pays d'Auge in the center produces the finest apple spirits. And that's where the Drouin family has been producing Calvados for generations. Their Marquis de Saint-Loup Calvados has garnered more than 390 medals and Certificates of Merit in competition. Poteen has been produced in Ireland for many centuries, using either a grain or potato base with added fruit whenever it was available. It is frequently referred to as Irish Moonshine Whiskey or 'Water of Life'. Products with this symbol are currently available in the NHSLC stores. Click it to check the statewide inventory.